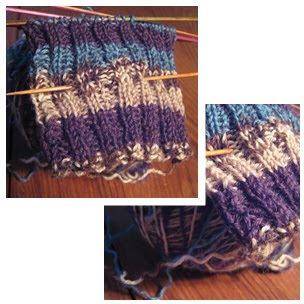 I have started knitting a pair of legwarmers for myself.... I really need some! At first I made a scarf of this..but did not like it.. so now I am trying this..